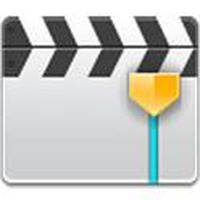 Video Editor Android - Free Download Video Editor App - Samsung Electronics MP Lab. Rating: The TOP 10 in Video Effects category. Ranking: The TOP 5 in Video Effects category. Video Editor is related to Android apps, Media - Video , Tools . Installation requirements: A minimum of 122.68 MB of free memory space and Android 3.0 or higher. Do you like Video Editor? Love it Great on-the-go video editor! Finally!! So glad Samsung released this! !